We’ve recently come to know Chinese smartphone maker Vivo through its cool technology, including the first working in-display fingerprint sensor on a phone, the stunning Apex concept device with its pop-up selfie cam, and a growing interest in photo-enhancing artificial intelligence. 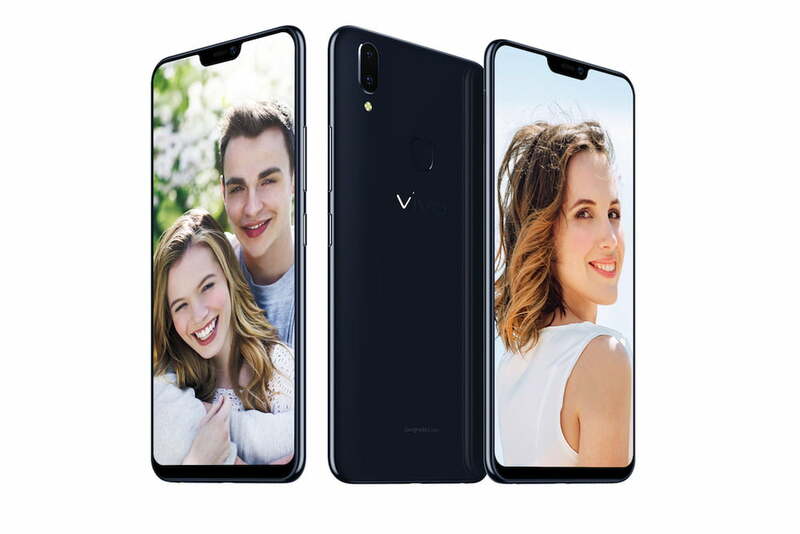 It’s now reminding us it makes phones we can actually buy with the announcement of the Vivo V9, a flagship phone with a quite astonishing 90 percent screen-to-body ratio, and a selfie cam with beauty-enhancing AI trained on a million faces. Before we go much further, yes, the screen has a notch. The controversial design feature is being adopted by many players in the mobile industry, and is frustrating some due to its limited functionality. On the Vivo V9 it takes a small chunk out of the 6.3-inch screen, which has an unusual 19:9 aspect ratio, and incredibly slim 1.75mm side bezels. This is 19 percent smaller than the bezels seen on the last phone we tried out from Vivo; the Vivo V7 Plus. The phone’s body is curved to fit in your hand and comes in either pearl black or gold colors. The notch isn’t the only V9 design feature we’re seeing on other phones. On the back is a dual-lens camera that’s vertically stacked, just like the iPhone X and a growing number of other devices. It’s made up of 16 megapixel and 5 megapixel lenses, and exploits an AI-based algorithm for accurate bokeh-style shots, where the subject is precisely targeted to reduce poor edge blur. However, it’s on the 24-megapixel selfie camera that Vivo’s AI works hardest. The algorithm has been trained using a million facial feature images, and will apply the right beauty settings for your age, gender, skin tone, and texture. It goes on to learn from your customizations, getting better the more you use it. Additionally (and stop us if you’ve heard this before too) the AI assists in creating interesting portrait shots with different lighting effects, including studio lighting, monochrome backgrounds, natural lighting, and stereo lighting. Finally, Vivo has added in some augmented reality stickers for the selfie mode too. Vivo has always embraced the selfie, and is definitely not slowing down on the V9. The AI is also used outside the camera, and in a similar way to Huawei, where it helps speed up frequently used apps and optimizing the operating system. The V9 has an updated face unlock feature, which can also be used to secure files and photos. We’re waiting for all of the final technical specifications, but do know a Snapdragon 626 processor with 4GB of RAM provides the power, and there is 64GB of storage space inside. Android 8.1 Oreo is installed, which we’d expect to be overlaid with Vivo’s own user interface. The price and availability aren’t known yet either; but we doubt the V9 will be sold officially outside China and Vivo’s other markets. If you’re keen, you’ll be able to pick one up from an importer. Google's latest flagships, the Pixel 3 and Pixel 3 XL, are now official and we have all the details from the October 9 event in New York City and Paris. Here's everything we know about the Google Pixel 3 and Pixel 3 XL. The iPhone 7 doesn't have terrible battery life, but you never know when you'll need to juice up on the go. To help, here are the best iPhone 7 battery cases that can keep your smartphone charged and ready for long-term use.